Green Coriander chutney is one of the most famous and commonly found sauce in Indian homes. It is healthy as well as adds values to your meal. It is also the one which has found mention in the famous hindi proverb: Khichdi ke hai chaar yar, papad, chatni, dahi achar! The chatni here is the green/hari/coriander chutney. The other green sister of this chutney the one which is made with mint. 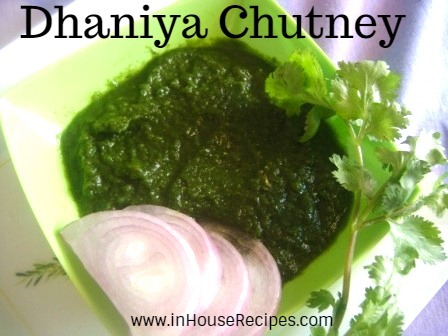 I love to eat the most spicy version of this chutney, hence i have added 2 green chilies. If you are the one who feels better on the other side, you should reduce the amount of green chillies. 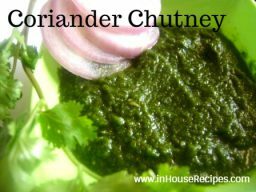 If you want to make it similar to what you find in restaurants, you should add a bit of curd once you are done with making the chutney. Curd helps in reducing the spice along with lightening the dark green color to light green. This is exactly what they do in restaurants.